There are multiple mobile phone companies in Canada. Some of mobile companies change names time to time, also some of mobile companies shut down business, or, some of them were acquired by other bigger companies. So maybe you are confused so much: Which one is exactly a mobile company when you meet a new mobile company ? Is there any parent company beyond them ? There is a software bug in Nokia Lumia 900 Windows Phone, Nokia promised “refund” $100 for each Nokia Lumia 900 customer in US several days ago. 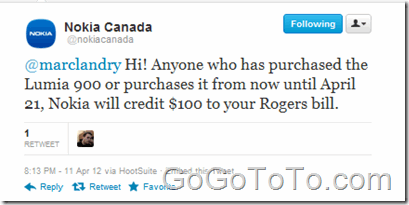 However, according to above message, we know Nokia ONLY credit $100 to Rogers bill, which means it is credit only, also you have to use the $100 for Rogers services. As a 7-11 SpeakOut phone user, we had only one choice if you want to fill money for your phone number: go to 7-Eleven store to buy a voucher and call 7-11 to activate it, then your phone number get money fill (top up). Now 7-11 provides either offline or online ways to top up your phone number: You still can purchase a voucher in a 7-11 store, or you pay on their website and top up your phone number. Let’s talk about the online way today. First, please visit their official website and register an account using your email address. Note when you register you will receive an email to activate your account. Just click the link to active the account, do not worry this activation is just activate your website account. Please follow the guide to receive a validation code on your cell phone, and then input the code in blank of Step 2 which shown above. 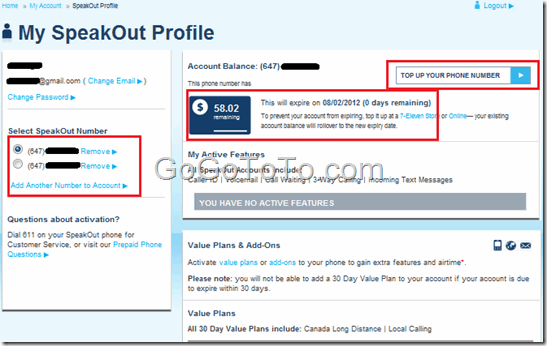 In your profile page, you can see your phone number information such as balance, expire time etc. Also you can top up your phone number by click the button one the top right of the page. 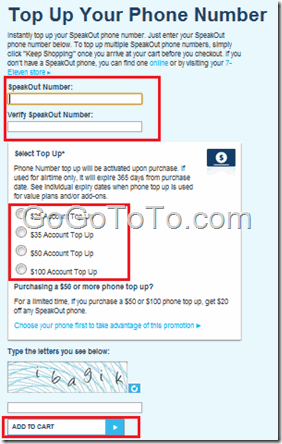 Input your phone number which you wan to top up, and select a top up account such as $25, $35, $50 or $100. input the security text and click “Add to cart” button. 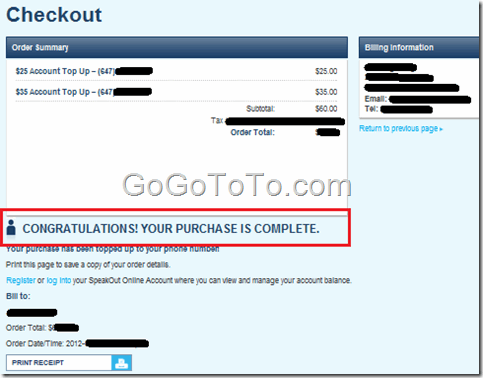 You can buy top up for multiple phone numbers in one time, that means you can continue shop top up account after you add one top up account to the shopping card, and pay them together. After you paid successfully, you can see your phone numbers were topped up right away! Check your phone number balance now, it should be topped up. Recently the World Health Organization has reported that cell phone radiation is "possibly carcinogenic". Also 2 days ago Environment Working Group posted Cell Phones Radiation value list. All other cell phones’ Radiation value please check here. How to adjust Nokia 1661 cell phone volume ? If you have a Nokia 1661 cell phone (don’t know whether other Nokia phones might same ), you maybe find it is NOT easy to adjust the phone speaker’s volume. You can not find a setting item in the setting menu, either the speaker aloud setting item is not for the volume adjust case. also the Tone settings is not either, So how should we adjust the cell phone’s volume ? I only figure out this way : when the cell phone’s speaker working ( for example: you are talking with somebody, or you dial a number to listen something – you better dial a free number : ), you click the right or left (Not up and down buttons) buttons, you will see the volume adjust interface !